Julius Erving, also known as "Dr. J", helped pave the way for modern basketball playing with slam dunking. He is well-known for slam dunking from the free thrown line in contests and some consider him the best dunker of all time. He is the fifth-highest scorer in basketball history with 30,026 points, and was inducted into the basketball hall of fame in 1993. 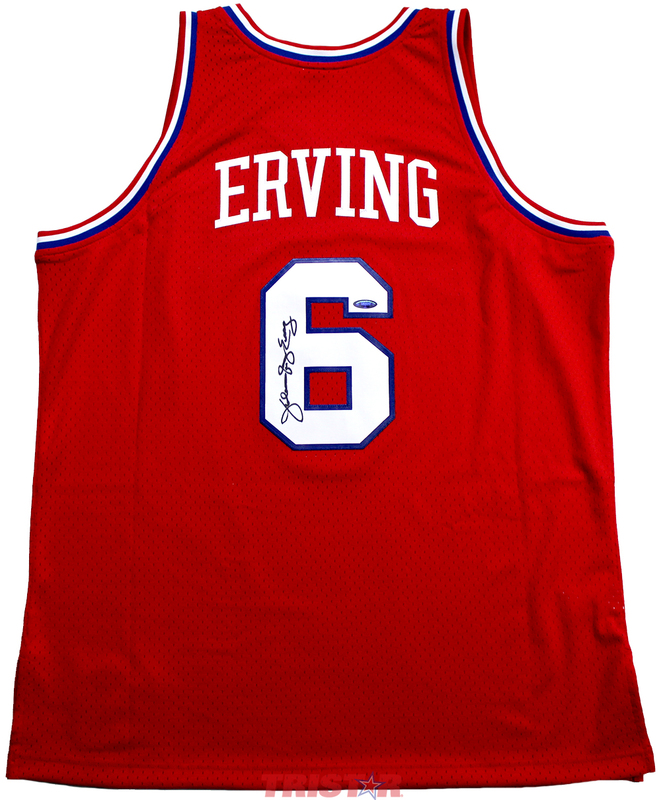 This Philadelphia 76ers 1982-83 Mitchell & Ness Hardwood Classics jersey has been hand signed by Julius Erving. Each autograph is guaranteed authentic, and includes an individually numbered TRISTAR Authentic hologram.